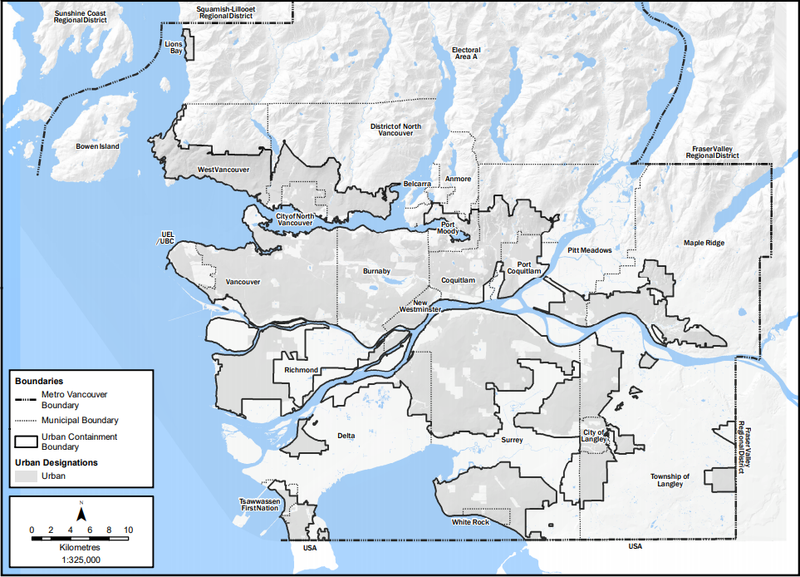 One of the key tenets of land-use planning in Metro Vancouver is to preserve green space, whether it be parks and areas with sensitive ecosystems, or farmland. To accomplish this, our region has an urban containment boundary in which all urban development is supposed to occur. There are policies in place, agreed to by all municipalities in our region, that create a higher barrier to sprawl outside of the urban containment boundary. Has our region done a good job of protecting green space? The answer would be a qualified yes. The following table shows the change in land-use mix in Metro Vancouver. There has been a small reduction in both land available for urban development and agricultural land, and a small increase in protected green space (parks and conservation). The following table from the October 5th Metro Vancouver Regional Planning Committee agenda shows how regional land-use designations have shifted over the last seven years. Greenfield land includes undeveloped land, former suburban land, and former rural land. 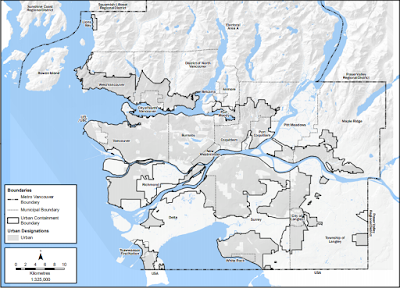 Over the last 7 years, the Metro Vancouver Regional District and its municipalities have done a reasonably good job of preserving green space. With continued pressure to transform the most productive farmland in our province into sprawl, we will need to be vigilant to ensure that population growth occurs in already built-up areas or in the 5,770 hectares of greenfield areas.